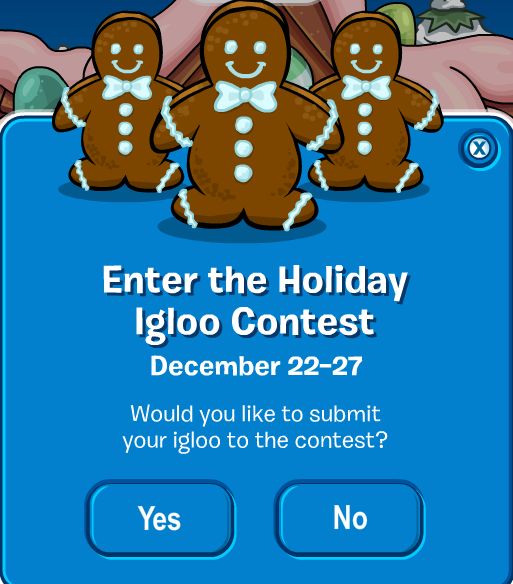 Club Penguin Cheats by Mimo777 Club Penguin Cheats by Mimo777: 2011 Deck The Halls Igloo Decorating Contest! 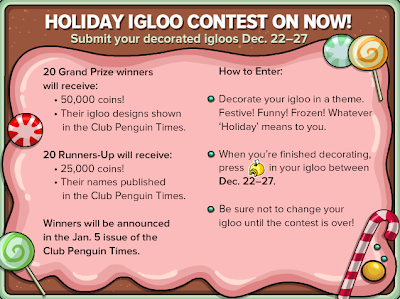 There will be 20 Grand Prize winners will receive 50,000 coins, and their igloo featured in The Penguin Times! 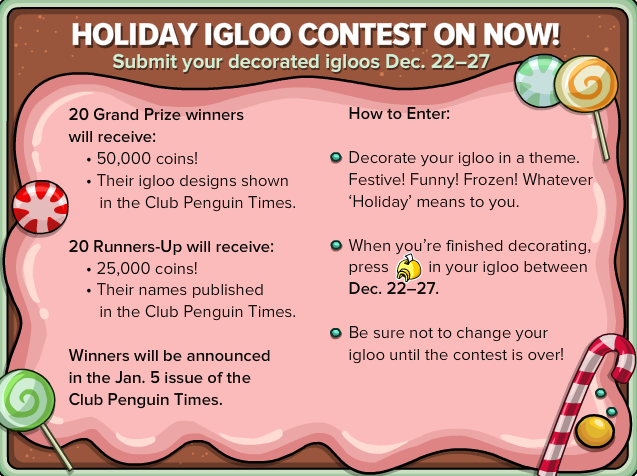 The 20 Runner-Up's will receive 25,000 coins, and their igloo featured in The Penguin Times! Let me know all about how you decorated your "Deck the Halls" Igloo, k? I wanna see some super warped ones this year!